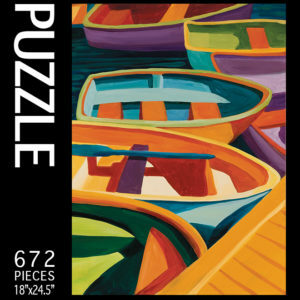 Jigsaw puzzle created from original artwork by landscape artist Catherine Breer. 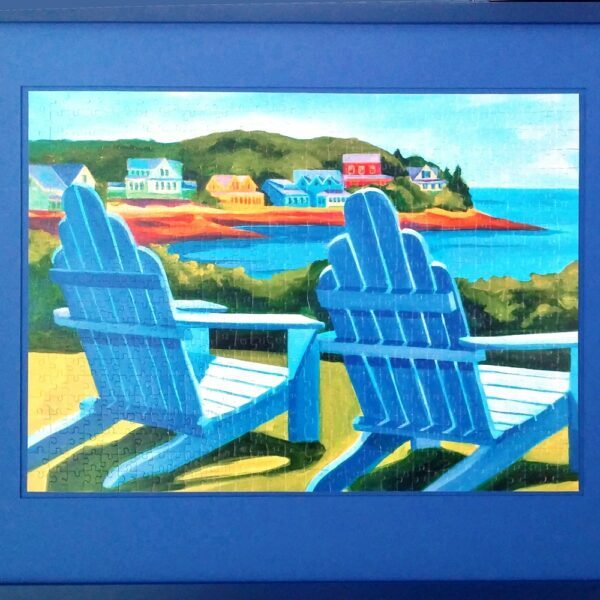 Relax in those Adirondack chairs, catch the breeze, feel the warm rays, enjoy the coastal romance. 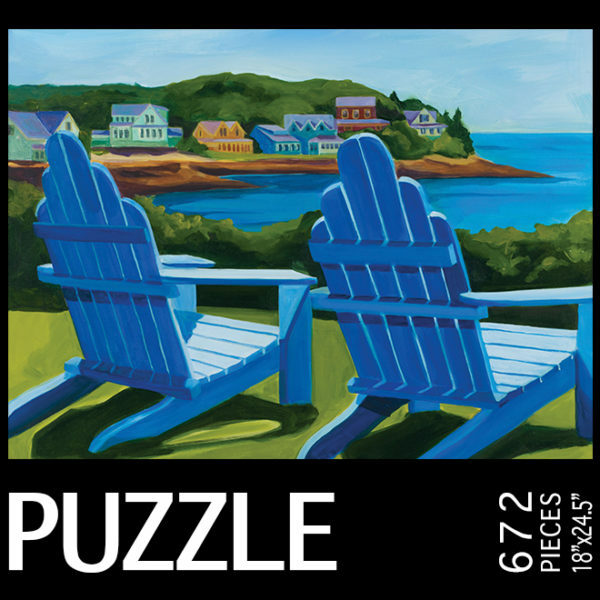 The Colors of Leisure Puzzle was created from a landscape painting by Catherine Breer. 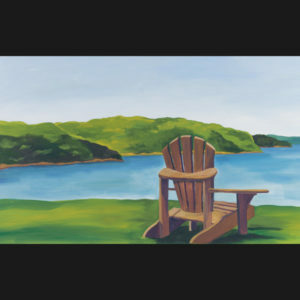 Ms. Breer’s landscapes artwork brings coastal living to your home. 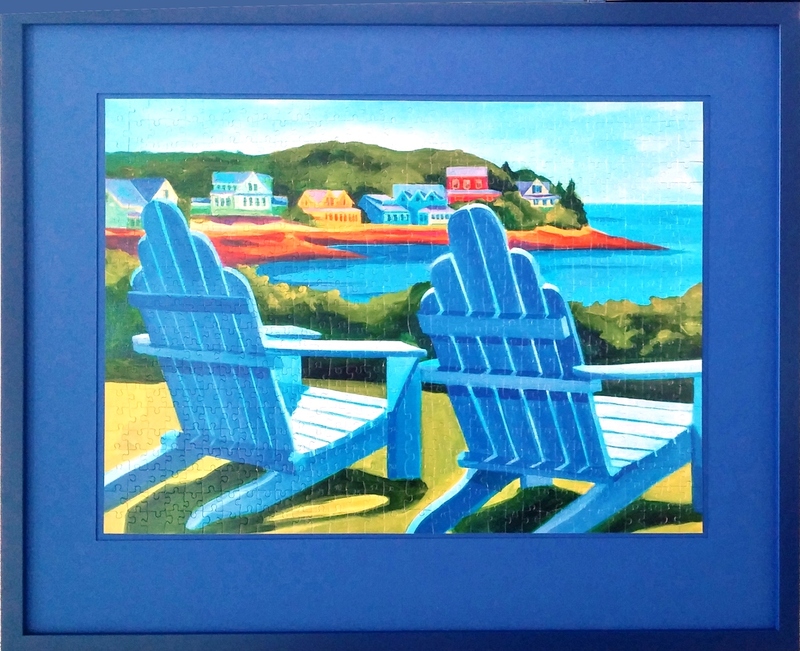 Putting jigsaw puzzles together is both meditative and fun. Once it is completed, it will be a wonderful wall decoration that can give you stress-relief all year round. Please see additional photo for the framed puzzle.